For fast and reliable Internet access or as an additional modem, this router is ideal for small businesses at a single site, such as medical practices, law firms, or small offices. Thanks to the integrated VDSL2/ADSL modem and VDSL2 vectoring, it supports high-speed VDSL with up to 100 Mbps and offers a range of professional features together with a great price/performance ratio. Thanks to the integrated VDSL2/ADSL2+ modem and VDSL2-Vectoring support the LANCOM 730VA enables high-speed VDSL with up to 100 Mbps and provides maximum flexibility for the transition from ADSL to VDSL. 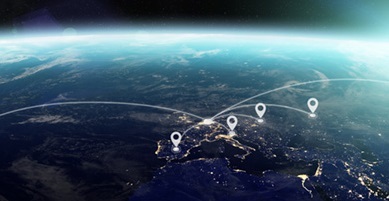 The ideal choice with regard to the future viability of your network. 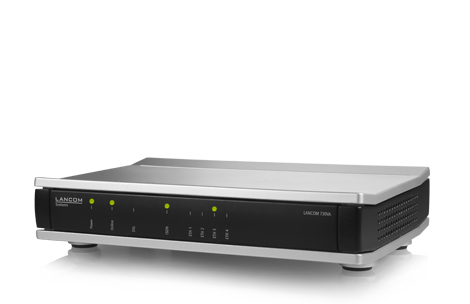 Equipped with a stateful inspection firewall, the LANCOM 730VA protects the entire network. With features such as intrusion prevention and Denial-of-Service protection, this business VPN router provides optimal protection and secures all of the data on the network. 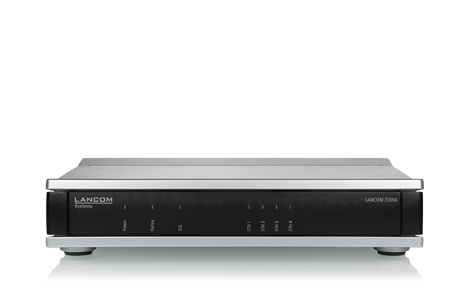 The LANCOM 730VA provides up to 2 securely isolated IP contexts, each of which has its own separate routing. This is an elegant way of operating IP applications with one central router and keeping the different communication channels securely separated from one another.